Credit cards come with helpful benefits, but if you do not read the terms and conditions, you probably do not know the benefits that are actually available to you. If you are ever caught in an emergency, especially in a foreign country, it is good to know that these benefits are available to you. 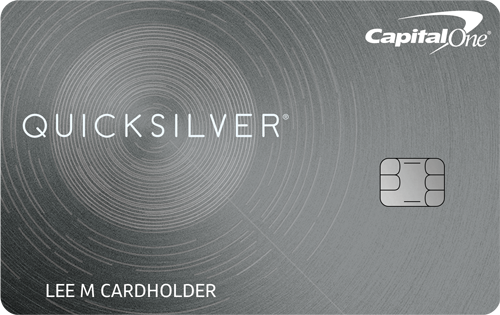 Carriers have scaled back benefits for standard, and even some platinum level, cards. However, the higher your card level, the better the benefits. The following is a list of standard benefits. Credit card companies are not required to offer them, and some cards offer only a few of these benefits. Auto Rental Insurance – Higher card levels such as Platinum and Gold offer larger amounts of auto rental insurance. This insurance usually covers theft of most rental vehicles and provides coverage beyond other types of insurance. It typically applies for the first 30 days of an auto rental if you rent a vehicle from a commercial car rental company. 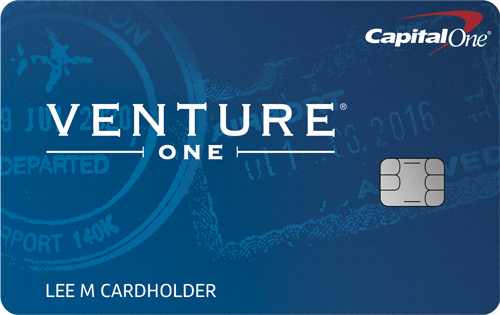 Purchase Protection – This protects eligible purchases that you make with your credit card. The purchased item must have been working when you received or bought it, then stopped working or was damaged. This feature protects you against theft or accidental damage for up to 90 days from the time of purchase. Some purchases may be excluded and coverage may be limited by occurrence and card member account. For example, Visa will replace, repair, or reimburse you up to $500 per claim and $50,000 per cardholder. MasterCard insures you for 90 days for theft, damage, or loss of a purchase if made with its card, limited to the cost of the item up to $1,000. Security from Unauthorized Purchases – All card companies provide emergency assistance for lost or stolen cards. Under federal law, your maximum liability for unauthorized use of your credit card is $50. If you report the loss before the card is used, the issuer can’t hold you responsible for unauthorized charges. If the card is used before you report it missing, you may have to pay up to $50 per card for unauthorized charges. If the thief uses your credit card number, but not the card itself, you will not be responsible for the unauthorized use.Continue to review your billing statements. If they show additional unauthorized charges, send a letter to the issuer describing each charge. Include the date your card was lost or stolen, when you first noticed the problem, and when you first reported it. Send it to the address for billing errors. Do not send it to the address where you send your payments and do not include the letter with a billing statement. All cards have dispute resolution. If you see a charge on your bill and it’s not familiar to you, or you think you’ve been overcharged, you can call the credit card company and dispute that charge. Extended Warranties – These typically double the manufacturer’s warranty for up to a year. There are limits to coverage. For example, with Blue from American Express, the coverage is good for the lesser of the amount charged to your card or $10,000. Save your manufacturer’s warranties and receipts for any purchases that may be covered. If you file a claim, you will need them. Travel Accident Insurance – Provides insurance benefits if you lose limbs or are killed in an accident on a common carrier such as an airplane, ship, or train (when you charge the total amount to your credit card), or during transportation to the carrier. Coverage ends when you arrive at the place designated on your ticket. Platinum cards typically offer $250,000 to $1,000,000 in travel accident insurance. Trip Cancellation Insurance – If you die, become ill, or a carrier goes under, MasterCard or Visa will pay up to $1,500 in nonrefundable expenses. Lost Luggage Insurance – If your baggage is delayed for 12 hours or more, some cards will give you up to $300 to buy essential items such as toothpaste, a change of clothes, etc. If the luggage was lost by theft or misdirection by the carrier, you may be eligible to receive reimbursement for your checked luggage, carry-on luggage, and their contents for the difference between the “value of the amount claimed” and the airline/train/ship payment (up to $3,000 per trip). If you are going on an extended trip or are taking expensive items, it may be a good idea to book the trip with the card that offers the best insurance for lost luggage.Be prepared to wait for your reimbursement because the airline has to process your claim first. You must provide receipts, and terms and conditions apply. This reimbursement is supplemental to and in excess of any valid and collectible insurance and/or possible reimbursement from any other source. Travel Emergency Assistance – Most cards offer some type of travel assistance. All American Express cards offer global assistance, an emergency hotline that helps you find a doctor, assistance with lost prescriptions, and that tells you the shots you need before you travel. MasterCard provides you with medical assistance while traveling and helps you find dentists, doctors, or pharmacies, even overseas. Certain cards cover medical evacuations. Visa offers similar benefits.Visa offers an emergency message service to record and relay emergency messages for travelers, immediate family members, or business associates. Visa also helps you make all the necessary arrangements for emergency transportation home or to the nearest medical facility. This includes arranging to bring your young children home and staying in contact with your family members or employers. Emergency Assistance – Most cards provide emergency customer service anytime, anywhere, and in any language. Emergency services include reporting lost or stolen cards, emergency card replacement, and emergency cash advances. If you need emergency cash or an emergency replacement card, contact your issuer to arrange a convenient pickup location for your new card or for direct delivery, usually within 24 hours. Roadside Assistance – Most cards will arrange and pay for your car to be towed. There may be conditions, such as with American Express’ assistance that applies if you are 50 miles or more from home. Other services include tire changing, jump-starting, lockout service, and fuel delivery. Visa charges $59.95 for a service call, and you are responsible for the cost of goods and services. Your Protection – Many cards have zero liability for you if you report unauthorized charges, and all cards have emergency assistance if your card is lost or stolen. All cards have dispute resolution, meaning that if you see a charge on your bill and it’s unfamiliar or you think you’ve been overcharged, you can call the credit card company and dispute it. These are the perks with which most people are familiar. Car rental insurance can be expensive, from $5 to $20 per day depending on your coverage. To help save money from this cost, know the coverage you have from your auto insurance and your credit cards. However, don’t assume that your credit card provides the coverage you need because not all of them carry the same benefits. Besides your personal car insurance, some credit cards cover damage or theft to your rental car. While this may replace the need for CDW (Collision Damage Waiver) and LDW (Loss Damage Waiver) offered at the car rental counter, check with your credit card company for the types of vehicles covered and whether the insurance is primary or secondary. For some credit card companies, the insurance becomes primary only in the absence of personal collision insurance. Since credit card companies do not provide coverage for more expensive rentals, call your credit card company for a list of the rental vehicles that it covers. Obviously, the credit card company provides coverage only if you use its card to rent the vehicle. To activate coverage, complete the rental transaction with your covered card and decline the rental company’s CDW coverage. If you depend on your credit card for coverage, read your credit card agreement carefully to fully understand the type of coverage it offers. Ask to have current written copies of the card’s policies sent to you, so that you can read them yourself. If you are in an accident, call your personal insurance agent and report the incident. If your credit card company does not pay, you’ll still be eligible for coverage under your own auto policy. If you use the credit card to rent a car, what kind of insurance does the company offer? Does it offer collision and liability? How much liability does your credit card issuer offer and what is the deductible? Are there exceptions? What is the process for reporting an accident? Get a name and a phone number to contact if you are in an accident. How much collision coverage does your card offer and what is the deductible? Are there exceptions? Does it cover the vehicle you are planning to rent? Usually, coverage for cars is provided, while more expensive rentals such as sport utility vehicles (SUVs), luxury cars, exotic cars, and vans are excluded from coverage. Under what circumstances can the issuer refuse to pay in the event of an accident? Is the coverage still in force if you drive into another country? Are there time limits or exceptions? When abroad, you may not receive coverage, so you must buy the rental company’s coverage or go without. Does purchasing collision insurance from the rental car company invalidate your credit card policy? For many credit card companies, the answer is yes. What about liability insurance? Who is covered to drive the car? Does the insurance cover just the credit card holder or does it include a spouse, adult child, or friend? After checking with your agent and card issuer, you can then make an informed decision about coverage while renting a vehicle. Weigh the cost of the rental company’s damage waiver and/or accident insurance against the cost of your deductible, possible rate increase, legal costs, and the hassles of making a claim. To use the coverage, you must reserve and pay for the auto rental with your credit card. Do not get the collision damage waiver or a similar option. Some types of cards are excluded and coverage may not apply outside of the U.S. The average foreign transaction fee is now 3%. 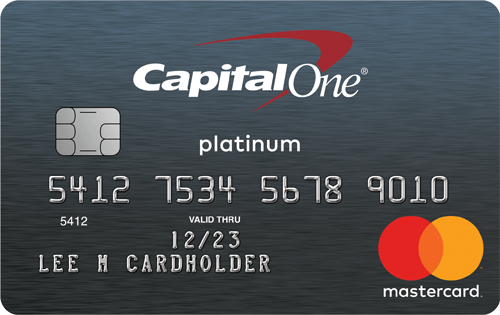 Capital One and Simmons are two of the few cards that does not charge a foreign transaction fee. Some cards like American Express and Pulaski charge 2%. While no one wants to pay this fee, using a credit card may be the cheapest option for making payments while in another country. Charge larger purchases. Credit cards typically provide good exchange rates. However, most cards also charge a 3% foreign transaction fee. Use ATMs for cash. ATM cards offer good exchange rates but come with fees. The typical surcharge is $2 per transaction. Some also add foreign transaction fees. Ask your bank if it has banking partners that waive the fees. Also ask your bank what you should do if the ATM only recognizes four-digit PINs. Do not use your credit card at an ATM to get a cash advance. Cash advances charge exorbitant transaction fees and surcharges. Unlike regular purchases, cash advances command a steeper interest rate that begins accruing immediately. Know the exchange rate. Local banks and some hotels are the best places to exchange currency. Keep some local currency and traveler’s checks for emergencies. It is a good idea to have some of the local currency with you when you get off the plane. Notify your bank and credit card issuer that you are leaving the country. Otherwise, they may view the transactions as suspicious activity and freeze your account. Find an ATM that is part of the Global ATM Alliance; they do not charge transaction fees. Before your trip, contact your bank to obtain the fees, including conversion fees, for overseas transactions and whether they waive such fees if you submit a receipt. Ask if your bank is part of an ATM alliance that waives fees, and which international banks are part of the agreement. Exchanging currency may be the most costly transaction, depending on where you exchange your dollars. Doing this is particularly expensive at airports and hotels. Whether you use a credit card or a debit card, contact the issuer and let it know you are going overseas. This will help avoid the possibility that they deny your transactions because of fraud detection procedures.